AN open day will be held at Peppard Tennis Club on Sunday, starting at noon. This will take place at the club’s centre off Colliers Lane. There will be a mini tournament, professional advice from coaches from Teach Me Tennis and the chairman’s barbecue and other refreshments. Last year the club installed new floodlights which cover four of the six courts. 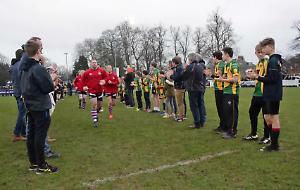 Forty per cent of the £25,000 cost was paid for with a grant from South Oxfordshire District Council and the rest was funded by the club. Anyone unable to attend the open day is welcome at club sessions for adults on Tuesday and Thursday evenings from 6.30pm.